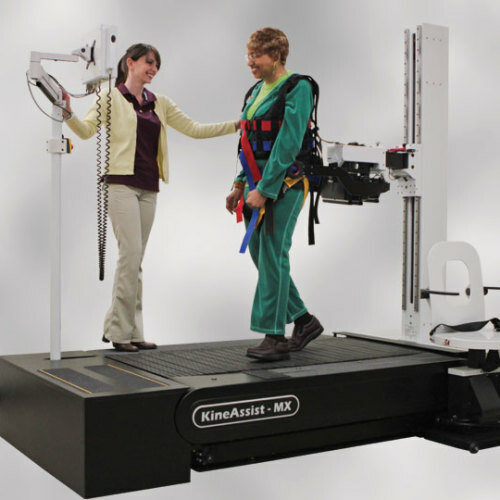 The KineAssist-MX technically advanced harness system senses a falling patient and safely supports and catches them long before a potential fall. This can reassure the patient and allow the therapy to continue. Additionally, therapy can now be performed by one clinician using the KineAssist-MX since it provides support that, without it, might require additional personnel help support the patient.